It’s getting more confusing these days for consumers to understand how to read the mortgage market and a big part of that is driven by competition. A few weeks ago, TD Bank jacked up the rate on its five-year fixed mortgage by almost half a percentage point to 5.59 per cent. The other banks have followed suit in raising their rates pretty much across the board, but not to the same extent. Then BMO came out this week with a teaser rate (available just to the end of the month) of just 2.45 per cent on its five-year variable rate, which adds up to a full percentage point off the bank’s prime rate. Do you grab the variable low rate knowing it’s going to head back up? That depends on where you think rates are headed next. Do you go for the fixed rate because you want to lock in and figure you can negotiate a discount to what the banks are posting? Depends on how much of discount you can find off of the posted five-year fixed rate. And if you think central banks will soon be chopping rates again, which will make variable rates the place to be. And what about the new Mortgage Qualifying Rate? 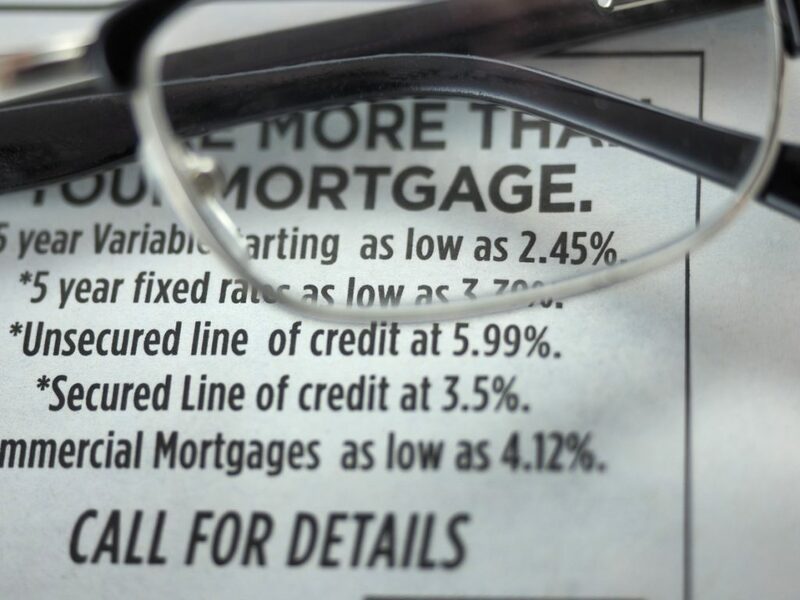 The MQR, introduced last year, is something mortgage shoppers or renewers never had to consider before last year’s move by regulators and the Bank of Canada to tighten lending requirements in order to cool the housing bubble. This new rate is taken off a calculation that takes all the big banks’ posted five-year rates and finds a middle ground. The banks are supposed to take that number, roughly an average of all the banks, then add 200 basis points (two percentage points) on top of it, then see if the mortgage shopper can handle payments at that higher rate. If the applicants can’t, then they don’t qualify for the mortgage. The added layer of confusion for mortgage shoppers comes from the fact you can’t always guess where the MQR is going to land when the banks aren’t posting rates at the same levels and they keep changing them. But if you took your MQR based on TD’s posted rate of 5.59 per cent (meaning you’d have to be able to handle payments based on rates of 7.59 per cent), that is quite different from other banks who are posting their five-year fixed closer to 5 per cent. The Bank of Canada officially raised the MQR this week to 5.34 per cent from 5.14 per cent. One factor driving BMO’s promise of a full percentage point off the five-year variable rate is transparency, which the bank figures will help it compete with alternative lenders who aren’t bound by the same lending restrictions, experts say. In a sense the banks are playing the alternative lenders’ game, with attention grabbing short-term teaser rates, so consumers know they can easily get less than a higher posted rate. For instance, Sigma Mortgage is offering a 2.16 per cent variable closed (five-year term) while True North Mortgage is offering 2.21 per cent. And consumers are wising up. Ratespy.com’s McLister adds that four out of 10 mortgage seekers consult online lenders now but predicts that in five years it will be closer to 8 or 9 out of 10. “While the banks will try to maintain their margins, they will have to negotiate,” says McLister. And because the mortgage rates banks advertise often isn’t the actual rate available (you can often get lower rates if you go in and negotiate with them) this makes BMO’s move to post the rock-bottom discount rate of 2.45% right on their website even more significant in that it gives consumers a better idea of what they can ask for. “Hats off to BMO for posting it right on their site,” says McLister. “Kudos to them.” The game is on.